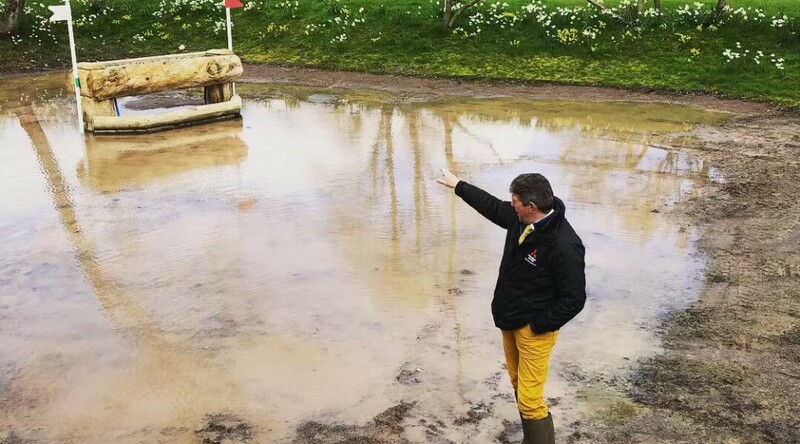 This week Horse Scout got a sneak peek at the cross-country course for the 70thedition of Badminton Horse Trials. “It feels like something we might have seen 25 years ago” was how Hugh Thomas described it. Big open ditches, making full use of the lips, dips, mounds, general topography and natural features of this beautiful park. This is a course that retains that “ride on your wits” cross-country feel which it has once again become famed for in recent years. Things start to get pretty serious by fence 10- The Shogun Sport Hollow. 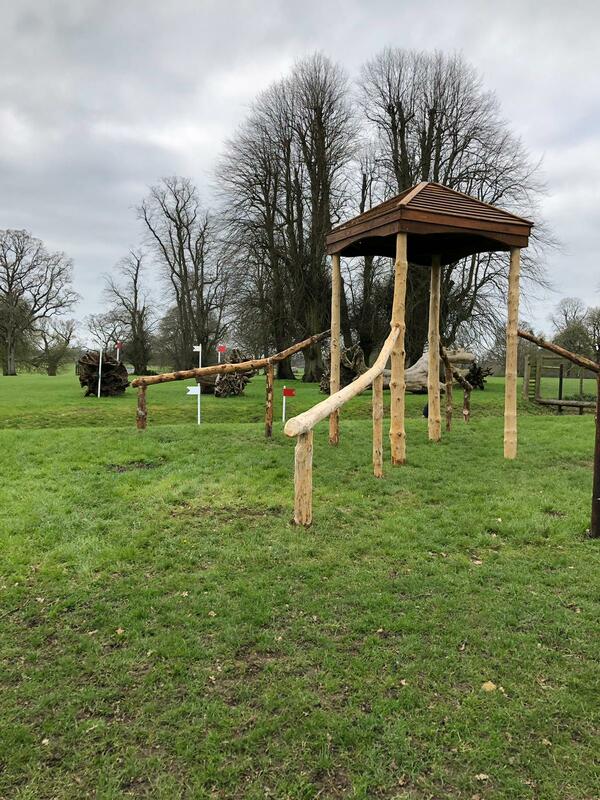 After a long gallop which could be influential before a particularly technical fence, there is a funneling pagoda to direct riders to a narrow coffin ditch which is eerily, even the shape of a coffin, and a left or right choice of chunky, narrow tree trunks out. 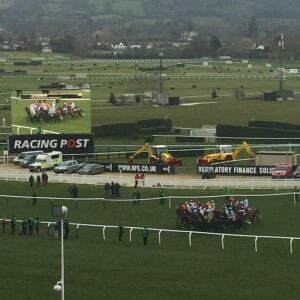 This is where the new FEI red flag rule could come into play. Where riders will be penalized 15 penalties if the whole horse does not pass between red and white flags- so that is shoulders as well as hindquarters. A rule which has not been well received by leading riders, course designers and officials… who shall remain nameless! Fence 11 and 12 is the massive KBIS Bridge over the infamous Vicarage Ditch. The double numbering allows for a two jump escape route. 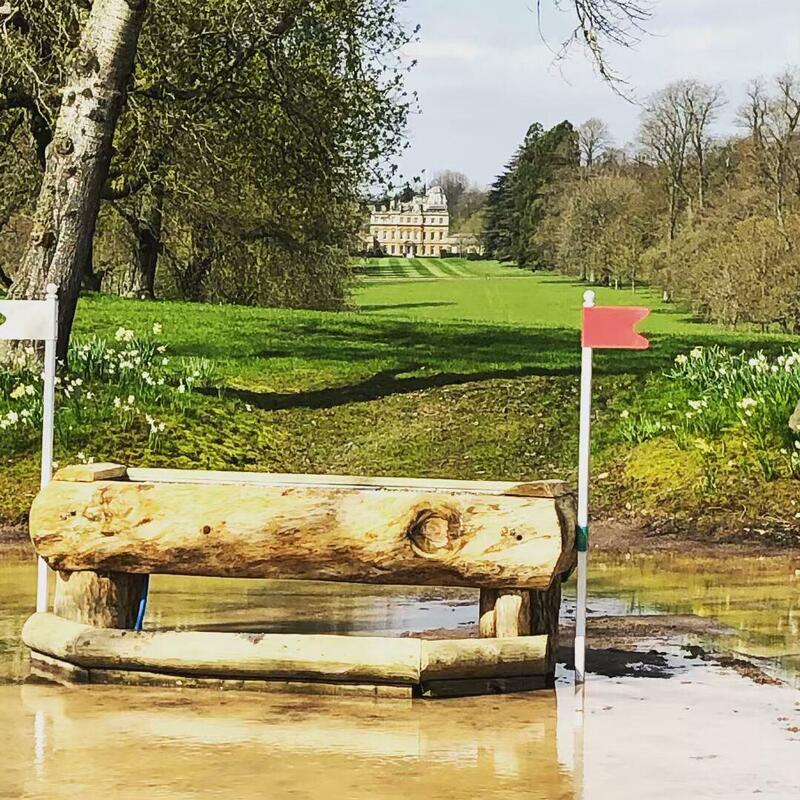 The next fence has been used in some form at Badminton since 1949 and this year involves the notorious bank followed by a narrow brush roll top. The Rolex Grand Slam Trakehner follows. Whilst impressive to the spectator, it’s big log over gaping ditch should not cause too many problems at this level. Then on to the Hildon Water Pond at 15ab which is perhaps a little softer than previous years with a big drop in before turning to a log trough in the water. Eric describes this as a run and jump fence and a bit of a let up before another tricky part of the course. 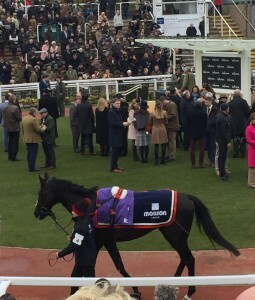 Possibly an opportunity to make up time, although Eric pointed out that in the last two years of running, not one combination of horse and rider had finished on their dressage score. The Vicarage Ditch to the Mirage Water at 17abc and 18 is possibly one of the greatest challenges on course. An enormous right-angled corner is proceeded by an open ditch situated on a dip in the bank which will definitely unsettle some horses. Then a level four strides to another fearsome corner fence. 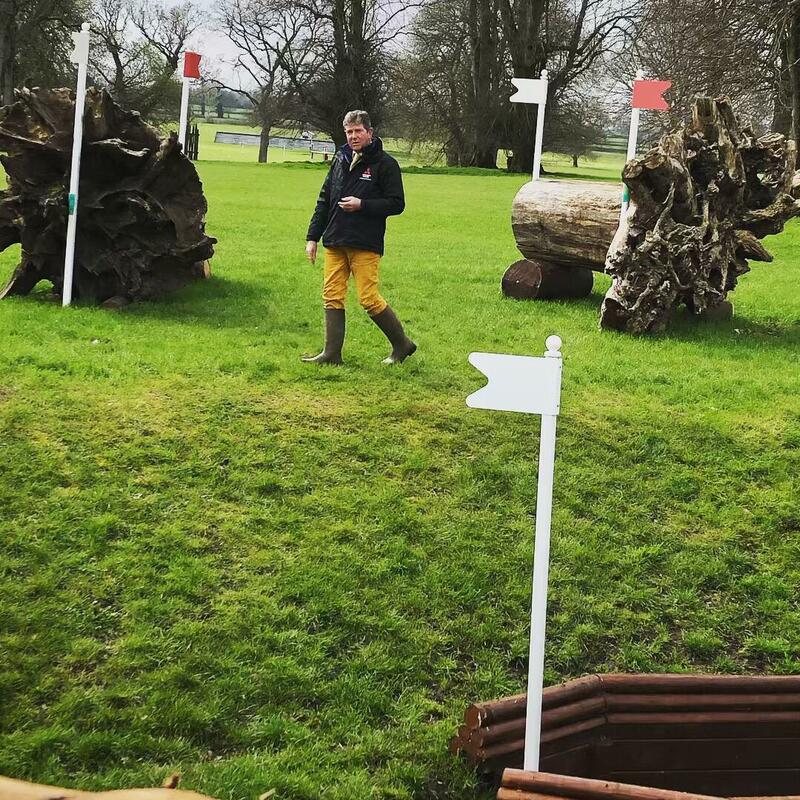 “This is the sort of fence you would see 40 years ago- we could see all sorts of jumps over the ditch which adds to the unpredictability of the course,” Eric says. There is no let up just yet and 19ab, the Nyetimber Heights involves a steep slope to an airy brush on top of a mound. Before plummeting down into the dip and up for a choice of four narrow scrubbing brush skinnies. Finally, there is a course let-up fence at 20 before rider head on to three asymmetric corners in a row at the YoungMinds Brushes. YoungMinds- who help young people with mental illness and struggles is the chosen charity at this year’s event. 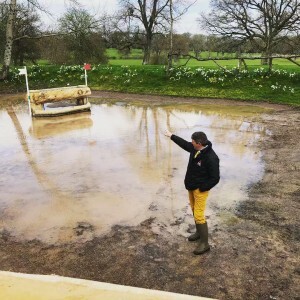 Fence 24 is an impressive affair to give riders their first taste of the infamous Badminton Lake. The jump is basically a large parallel but the design, with a pump station extending over the Lake to create a waterfall effect, which might unsettle some horses. Especially when added to the considerable crowd that always flock to the Lake. 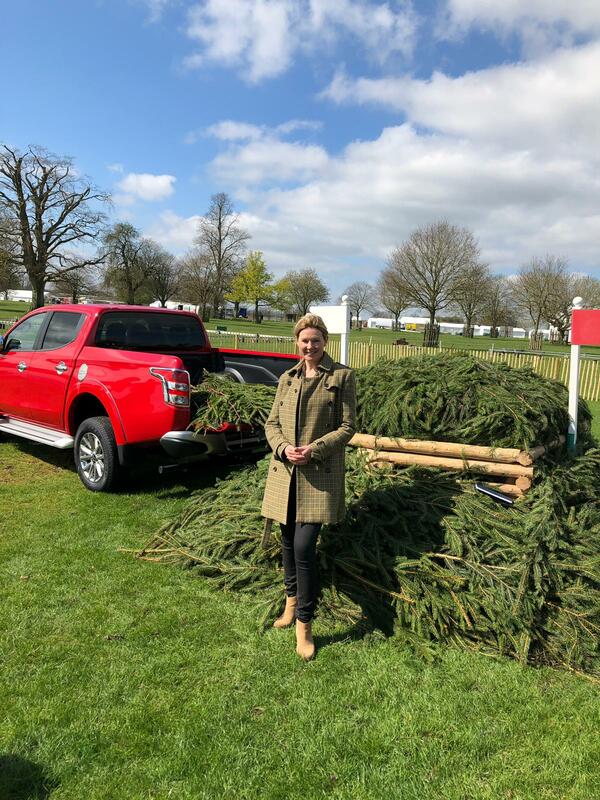 The brush fence in has been pulled back so riders land on grass before entering the Lake, then a step up and the iconic Mitsubishi pick-ups which this year have a trailer attached with dome-shaped spruce which is the part jumped by riders and horses. The Lakeside spectators get value for money as riders double back to the Wadworth Lower Lake at 26, a triple bar approached through the water. After an inviting hedge comes the Voltaire Design Huntsmans Close which involves a birch parallel to a birch spread corner on a right turn. Even though we are nearly home, Badminton is no place for complacency and we have seen many a rider tip up in the final few fences. The Hayracks at 31ab a roll top spread to a roll top skinny, then fence 32 the Rolex Trunk which is a sculpted log. Back into the arena is the Mitsubishi Final Mount at 33, a fence designed by a member of the public for a competition a few years ago, where riders jump a pair of sculpted wooden saddles.